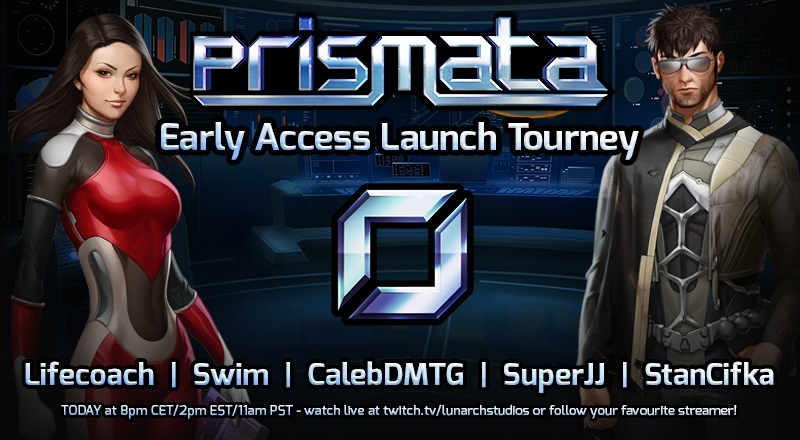 The Prismata Early Access Invitational is today! In celebration of Prismata’s Steam Early Access launch, we’re running a special event today: the Prismata Early Access Launch Tourney! In the mean time, Prismata creator and Lunarch Studios co-founder Will Ma has provided some really interesting opening analyses from some of his recent ladder games. The games are quite fascinating and focus on using an early Animus to pressure the opponent into committing to a specific line of play that can later be exploited through a tech transition. This isn’t quite final yet (we’ve still got more updates to in-game graphics planned for the next couple of months, so we’ll be replacing parts of the footage later). That said, we think it’s pretty cool! 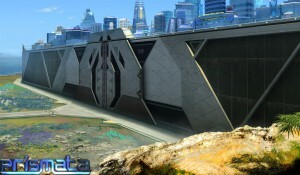 Feel free to let us know what you think by leaving a comment in the Prismata subreddit. First and foremost, we have another alpha player survey online. There are questions about skins/emotes, unit balance, the armory card-flipping minigame, and more. Please fill it out; your responses are extremely helpful! We collect a huge number of statistics on Prismata units—how often they are bought, how often players win with them, and how balanced they are. In this article, I wanted to share a few of our findings. First up, a quick announcement: our Impending Doom contest ended Saturday, and we received the first answer just over four hours after the contest went live. Congratulations to MasN, who completed the challenge first. All of our top 10 finishers, alongside their finishing times, are listed here. With one contest out of the way, we’ve decided to announce another. We’re calling it Prismata in 60 Seconds, and the goal is simple: make the best 1-minute Prismata video you can. Details are given near the bottom of the article, but the prizes include an ambassador badge, the chance to design your own emote, the much-coveted first edition Prismata t-shirt, and over $100 in Prismata rewards. Before we get to the rules and prizes, let’s take a look at Prismata’s history, according to the various videos and trailers released on our youtube channel over the past year. Whether you haven’t watched any of them, or you’re a dedicated subscriber who literally watches every single video the hour it’s posted, there might be a few little things you never knew about these videos! I’m going to jump straight into this post. It’s going to be about Prismata’s overall graphical look, and how we’ll be upgrading it as time goes on. We get a lot of questions along the lines of “Why don’t you have good art like Game X?”, where Game X is typically a work by a AAA developer with a budget in the millions. Even though these types of questions may be a bit tongue-in-cheek, we do intend to improve our graphics to the point where we are competing with the best-looking strategy games and card games out there. 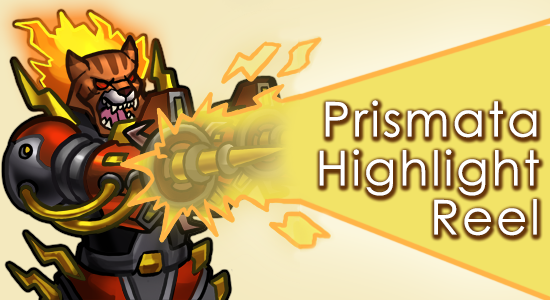 In the next year, you’ll be seeing big updates to our user interface, look and feel, animations, unit art, and tons of other aspects of Prismata’s appearance. Today, I’m going to explain our plans. Before I get to that, let’s first take a look at the competition. Athough the weather outside is frightful (an “Extreme Cold Warning” in is effect with wind chills below -30 here in Waterloo), we’ve been huddled in the office getting tons of stuff done! We’re working hard on the Prismata campaign, new social and expressiveness features, improvements to graphics and sound, and all kinds of other stuff. To help us determine how to best focus our efforts, we’ve prepared a quick survey. We want to know what you think, where our weak areas are, and what to prioritize. Your input is invaluable to us and we’ll be personally reading every single response. Take the survey now! The break has ended, we’ve all had a great vacation, and the Lunarch office is again filled with people busy working on Prismata. 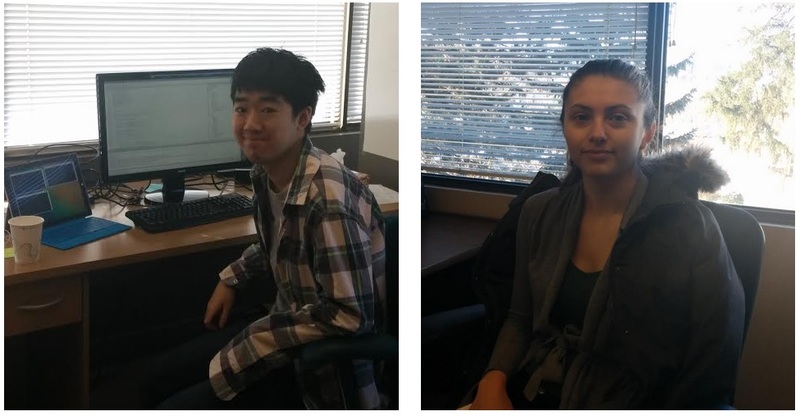 Our last interns, Whinnie and Rachel, have returned to school, and their shoes have been filled by two new faces—Tom (returning developer co-op from last summer) and Megan (who will be helping grow our community). Please give a warm welcome to Tom and Megan, who will be getting us lunch and making our coffee for the next four months.